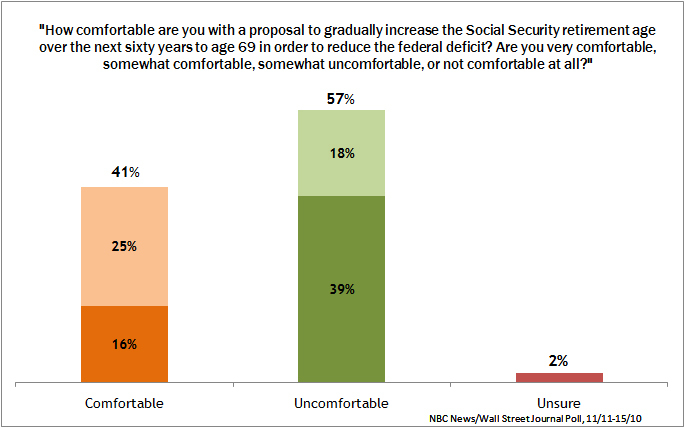 Wonder why deficit hawks in DC are trying to cut Social Security? So do we. Lately there’s been a lot of talk about ‘austerity measures’ to manage the deficit in Washington D.C., but not much in the way of specifics. Perhaps attracting the most attention was President Obama’s Fiscal Commission, which proposed benefit cuts and increases in the retirement age. 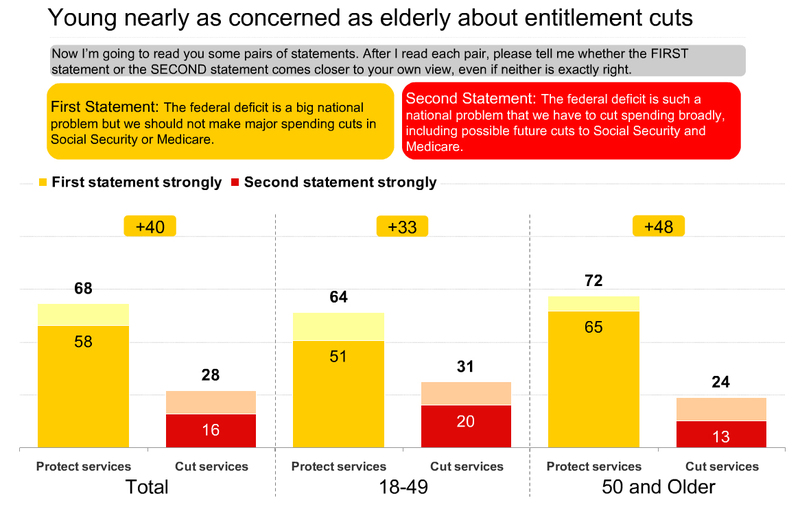 Many elected officials have been reluctant to comment on these plans — with some notable exceptions in defense of Social Security and Medicare — but those supportive of the cuts have been light on specifics and heavy on talking points. Their reluctance to elaborate comes as no surprise. 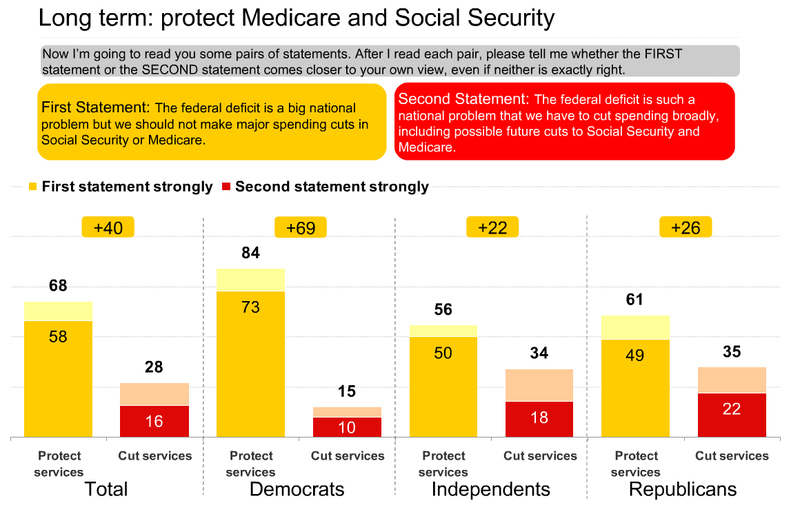 Polls show that the vast majority of Americans (across both age and partisan lines) don’t want the budget balanced on the backs of the middle class, seniors, and disabled workers. Still, some of our elected officials still don’t seem to get it. 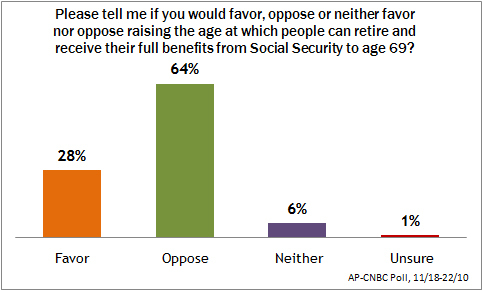 So we’ve done them a favor, gathering up all of the polling data we could find around Social Security. As a bonus, we’ve also included some data allowing them to find out how many of their constituents utilize Social Security for retiree, survivors, or disability benefits. But we can only do so much; it’s up to you to let them know how you feel. Take a look at the polling data below, and click here to find out how many people in your state/district utilize the Social Security benefits they earned. Then contact your Senators (click to email) and Congressional representative (click to email). Or call the U.S. Capitol switchboard at (202) 224-3121. Urge them to support an open and honest debate about strengthening Social Security, such as those of Rep. Jan Schakowsky and Rep. Ted Deutch.